Night gowns and sleepwear - with so many robes, pajamas, nightgowns, fabrics, and sizes, it can be difficult to find the perfect nightwear, especially if you’re curvy. Though many lingerie and women’s sleepwear manufacturers don’t go beyond traditional x-small, medium, large, and xlarge sizes, there are a number of exciting sleep wear brands that offer some amazing choices for curvier silhouettes. Fresh and fabulous, Eileen West offers nightgowns, pyjamas, robes, and nightwear that’s irresistibly comfortable and feminine, making it an excellent womens sleepwear choice for all year wear. Eileen West’s plus nightwear sizes include 1X, 2X, and 3X, and feature easy fit styles in soft and breathable lightweight woven and knit fabrics in soft that are just as nice for sleepwear as they are for loungewear. 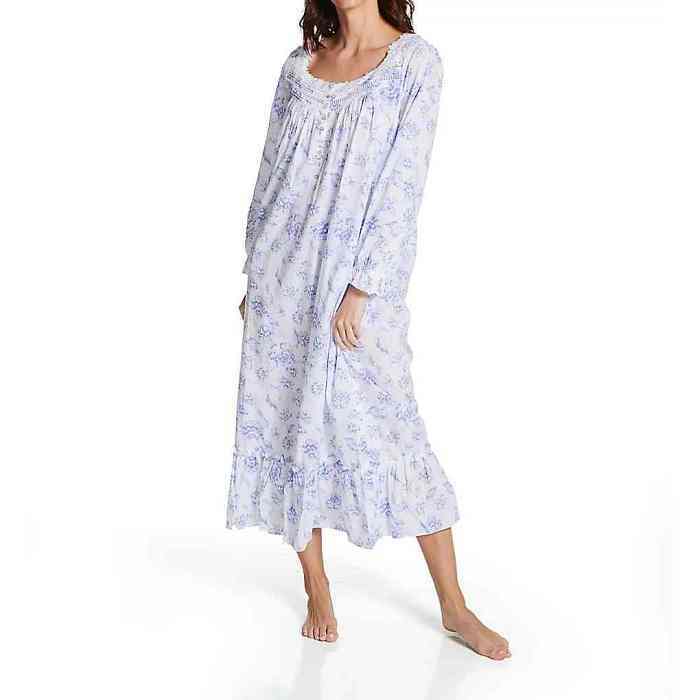 Stylish night gowns include classic full length long nightgowns, short nightgowns, and the ever popular ballet length, in a variety sleeveless, cap-sleeve and long sleeve options. Beautiful details include lace appliques, pearlescent shell buttons, ruching, and flounced hems. Attractive colors include pretty pastels, delicate floral prints and patterns that are soft and feminine, making this an easy nightwear option. 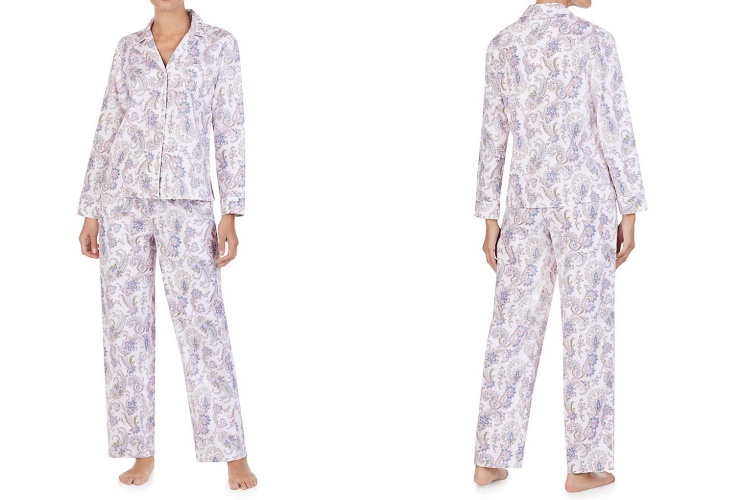 When it comes to luxury sleepwear that’s sleek and sophisticated, Natori makes our list of top ten favourites every time. A darling of the intimate apparel world for more than 20 years, Josie Natori understands the feminine silhouette and designs for a variety of different shapes and sizes in 1x, 2x, and 3x. Specializing in upscale silk and satin sleepwear, Natori gowns, chemises, caftans, and women’s robes offer a fresh, modern take on nightwear classics in luxurious soft fabrics that are just as comfortable as they are beautiful. Known for sumptuous bias-cut satin, silky microfibre, and elegant hand-painted silks, Natori sleepwear and intimate apparel is simple and timeless with minimal detailing. Styles come in an exciting array of vivid jewel tones, feminine prints, and beautiful basics that can be mixed and matched with lingerie favorites you already have. For curvy women who crave stylish quality sleepwear that’s comfortable, roomy, and looks great, La Cera sleepwear is definitely worth a closer look. With a focus on eco-friendly and natural fabrics that include everything from lightweight woven cotton and cotton knits to warm wear flannel, La Cera offers a fantastic array of flowing nightgowns, robes, pajamas, and cozy sleepwear choices for today’s busy women on the go. 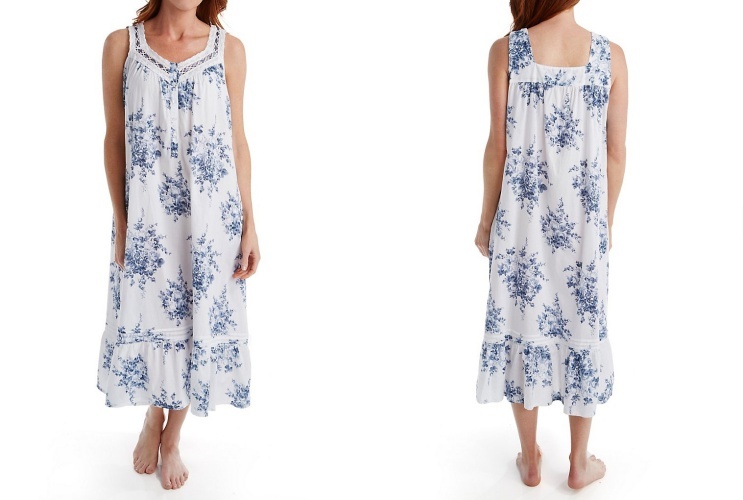 Fabulously functional with an easy and relaxed fit nightwear, this U.S. based night wear manufacturer has mastered a medley of classic night gowns and sleepwear styles that include intricate detailing, beautiful lace appliques, embroidery, crochet trims, and ruffles and ribbons. Plus sizes range from 1x to 3x, and are considered some of the most comfortable plus styles currently available. Popular colours include crisp cool white, lighter pastels, and airy prints that are reminiscent of a sunny California afternoon. A perennial favorite of petite and curvy fashionistas and lingerie divas alike, Ralph Lauren offers an exciting array of sleepwear that includes almost every stylish option available - from English countryside inspired nightgowns to classic pinstrip satin pajamas, robes, sleep shirts, and more. With a noted reputation for quality woven cotton and soft knit nightwear that’s as superbly comfortable as it looks and feels, this U.S. designer produces classic sleep wear that’s tailored and timeless and a touch of glam. Details like monogrammed pockets, ruffled edging, and carefully notched collars add a level of sophistication that will take you effortlessly from a glamorous weekend shopping trip in New York to a cozy castle in the Scottish highlands. When it comes to colours, Ralph Lauren truly shines with choices that do not disappoint. Offering rich, regal colours, and classic paisley, floral, and striped prints and patterns, that change from season to season, Ralph Lauren has something to please virtually every taste and occasion. Sizes for curvy shapes and plus sizes include 1X, 2X, and 3X.